An investigation has been launched after a number of pupils were allegedly let off the Translink service on The Burn Road by the driver. An investigation has been launched into claims that a number of school pupils were left to walk on a ‘dangerous’ country road after a driver reportedly failed to halt at the designated bus stop. 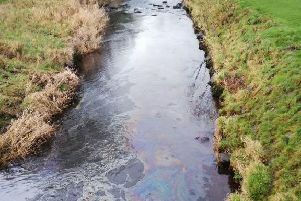 It has been alleged that a number of pupils from Ballyclare Secondary School had to walk along a section of The Burn Road between Doagh and Parkgate after being let off the vehicle by the driver. The incident is said to have occurred as students were being transported home from the Doagh Road school on the afternoon of Tuesday, November 21. Commenting on the claims, Principal, Mrs Kathryn Bell said: “The school was contacted by a concerned parent about the incident this morning and we have acted on this immediately. “We have been in touch with Translink and understand that an investigation has commenced. Detailing his concerns, Dunsilly DUP representative, Cllr Jordan Greer said: “Being left off on what is a winding country road with no footpaths is unacceptable. “It is a dangerous country road and very hard to see round the bends.